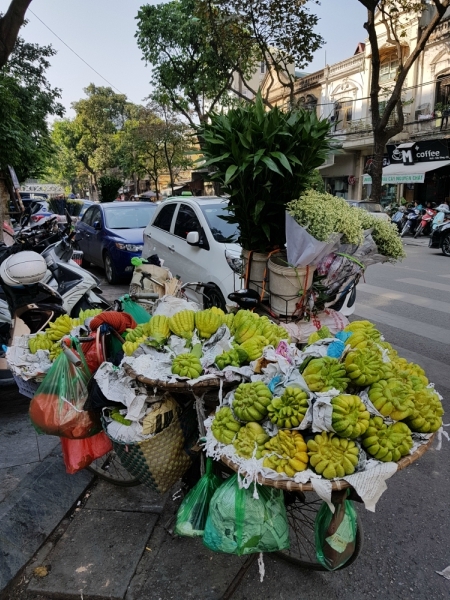 This fruit is called « phật thủ » and literally means « Buddha’s hand« . 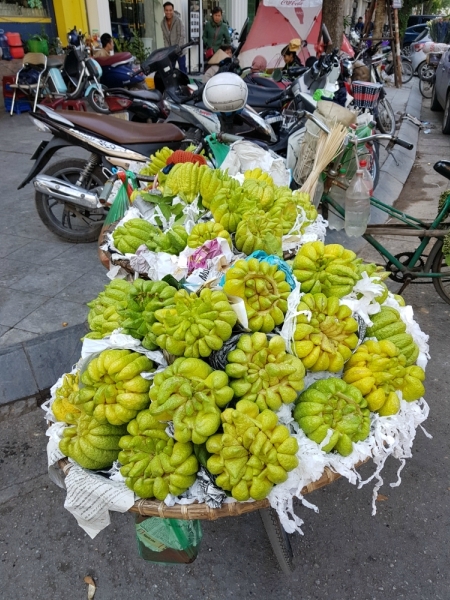 It is an unusual fruit as it is rarely eaten. Rather it is a traditional temple offering and a New Year’s gift. 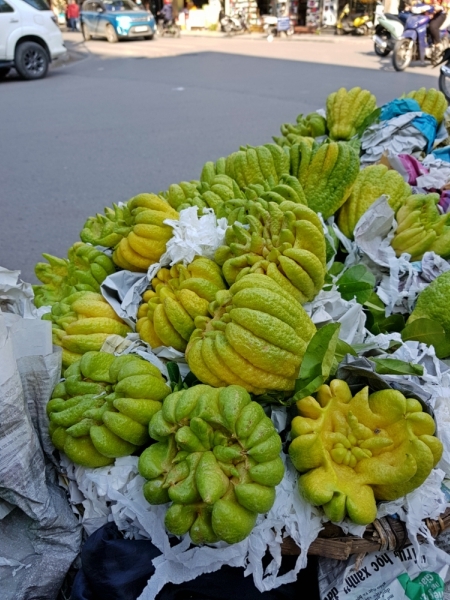 According to tradition, the Buddha’s hand fruit is a symbol of happiness, longevity and good fortune. Also called « lemon with fingers,” this oddly-shaped fruit is much appreciated for its sweet floral fragrance and mild zest. It is as well used for decorative utility in local homes. The number of « fingers » on the fruit is directly proportional to the family’s luck!